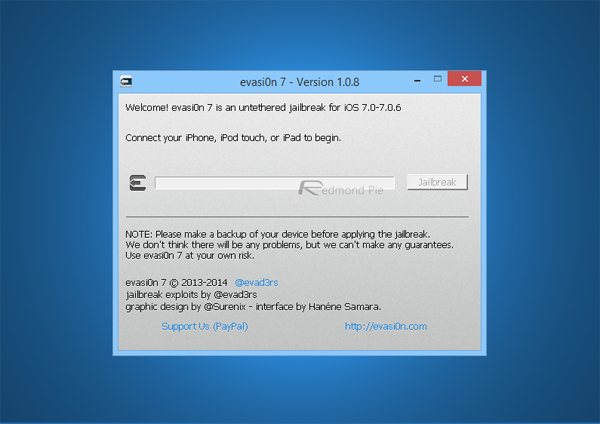 The Evasi0n tool, which offers iPhone, iPad and iPod touch users on iOS 7-7.0.6 an untethered jailbreak, has just been updated to version number 1.0.8, adding belated support for iOS 7.0 build 11A466. Full details can be found below. The Evad3rs team did an exceptional job in bringing a universal untethered jailbreak to those on pre-iOS 7.1 firmware, and although the latest edition of Apple’s mobile software has spoiled the party somewhat by patching the exploits that allowed Evasi0n to work its magic, progress since the release of iOS 7.1 has been very promising indeed. For example, shortly after iOS 7.1 arrived, seasoned hacker Winocm revealed on Twitter that he’d managed to boot the new firmware untethered on an iPhone 4, and released an accompanying video demonstrating as much. Then, earlier on this week, iH8sn0w jailbroke the iPhone 4s on iOS 7.1, and even though there’s no telling where this might lead, the prospect of a fully untethered jailbreak for iOS 7.1 is by no means dead in the water. In many respects, though, it would make sense for the security experts to retain any significant advances for the upcoming iOS 8, something we’ve been hearing a lot about of late. Expected to be announced at WWDC this coming June, the new firmware is likely to include a bunch of new features such as Healthbook – an all-in-one app for the fitness and wellbeing-conscious – along with some further, much-needed improvements to the Maps app. At this point, we’re hoping that an iOS 7.1 jailbreak may soon appear, but at the same time, we’re not holding our breath for one. The Evad3rs have done their job as far as iOS 7 is concerned, and even though an update to support iOS 7.1 would surely be welcomed by the masses, it could, in turn, have a detrimental effect on any progress with iOS 8 further down the line. 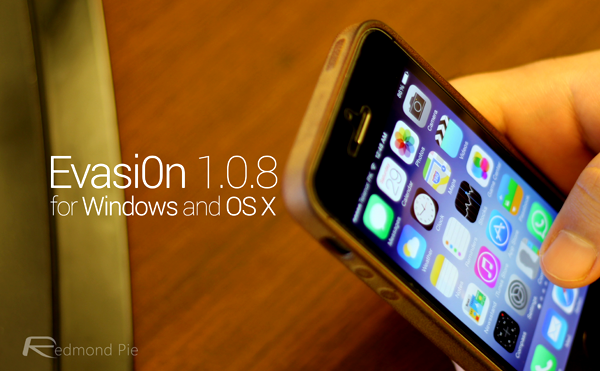 For those running iOS 7.0-7.0.6, please check out the latest version of Evasi0n if you wish to jailbreak your device — a link to which can be found below.